The Canadian province of British Columbia is partitioned into regional districts, as a means to better enable municipalities and rural areas to work together at a regional level. Similar to counties in other parts of Canada, regional districts serve only to provide municipal services as the local government in areas not incorporated into a municipality, and in certain regional affairs of shared concern between residents of unincorporated areas and those in the municipalities such as a stakeholder role in regional planning. In those predominantly rural areas, regional districts provide services such as land use planning, building inspection and some responsibility for community fire protection. Regional districts also provide some services, such as solid-waste management, but otherwise differ from counties in having no powers or similar bodies with other arms of government whose powers are much more sweeping, including forests, environment, health, schools, provincial and courts. They are not the equivalent of counties and their powers and democratic mandate are substantially weaker. Most land within a regional district is under control of other arms of the provincial government, or in the case of national parks and offshore waters, of the federal government. Indian reserves located within the boundaries of regional districts are likewise excluded from their jurisdiction and infrastructure, and there are varying levels of collaboration between First Nations governments and regional district boards. Regional districts are governed by boards of directly and indirectly elected directors. Municipalities appoint directors to represent their populations (usually the mayors), while residents of unincorporated areas (which are grouped into electoral areas) elect directors directly. The votes of directors from municipalities generally count more than the votes of directors from electoral areas, and larger municipalities have more votes than smaller ones. For example, both North Saanich and Metchosin appoint one director to the Capital Regional District board of directors, but the vote of North Saanich's director counts three times as much as the vote of Metchosin's appointee. * The Stikine Region is not officially classified as a regional district, and is administered directly by the provincial government. The first regional district was established in 1965, and the then final regional district was established in 1968. Central Fraser Valley Regional District: The modern City of Abbotsford (itself newly formed at the time) and adjacent unincorporated areas - Sumas Mountain (now FVRD Electoral H, west of Chilliwack and south of the Fraser River. Regional District of Fraser-Cheam: The eastern 2/3 of the modern Fraser Valley Regional District, including Chilliwack, Kent, Harrison Hot Springs, Hope and the Fraser Canyon unincorporated areas. The western half of Dewdney-Alouette, comprising Maple Ridge and Pitt Meadows, was incorporated into the Greater Vancouver Regional District (now Metro Vancouver). Mission and the unincorporated areas east to the Chehalis River were incorporated into the Fraser Valley Regional District. This amalgamation took place due to the western part of Dewdney-Alouette having become essentially a suburb of Vancouver and would be better served by being within Metro Vancouver. The Central Fraser Valley RD would be nearly completely dominated by the newly amalgamated City of Abbotsford, bringing its role as into question; similarly the remnant of Dewdney-Alouette would be dominated by Mission. Given the rapid growth being experienced in the Fraser Valley at the time, and expected to continue for the foreseeable future, the creation of the Fraser Valley Regional District was seen as the best option. The Comox-Strathcona Regional District was abolished in February 2008, and replaced by two successor regional districts: Comox Valley and Strathcona. The Peace River-Liard Regional District was created October 31, 1967 when the regional district system was first being established. 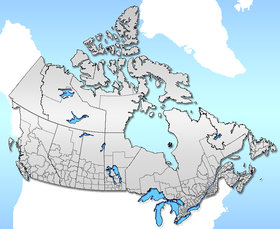 On October 31, 1987, it was split into the Peace River Regional District, and the Fort Nelson-Liard Regional District, which since has become the Northern Rockies Regional Municipality. ^ BC STATS: Statistical Glossary Archived 2009-06-26 at the Wayback Machine. Accessed online June 13, 2009. ^ Regional District and Municipal Boundary Changes, 1996 to Present. Accessed online June 13, 2009. ^ BC Names/GeoBC "Peace River-Liard Regional District"
This page was last edited on 17 November 2018, at 03:41 (UTC).